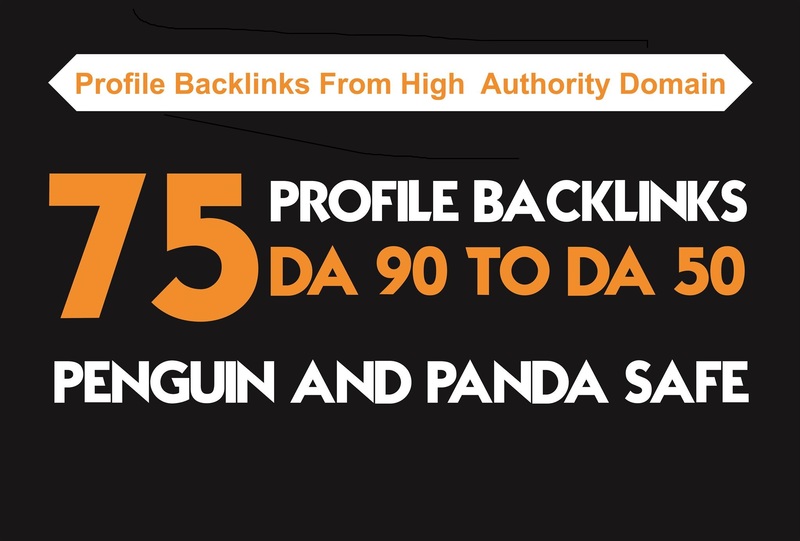 I will manually create 75 x DA 90 TO 50 Profile Backlink from 75 unique high authority domains. Your site will appear on the most popular and best ranked sites on the internet Mozilla, Dpreview, , amazon.com,EDU etc. This links are 100% friendly with Panda or Penguin updates. I do my best to help you gain a better position in Google search engine for your site. Having links on this Trusted Domains gives more authority and credibility to your site. You can use this service for a site, an YouTube video, a Facebook page, a Pinterest page - anything you can link to. Any kind of languages or characters. *Natural Mix (no and Dofollow, non/anchored). *Once your order is complete I will provide you with a detailed Excel report! I will manually build 75 DA 90 PLUS profile BACKLINKS is ranked 5 out of 5. Based on 66 user reviews.